What will you do when Lord Zedd finally shows up to invade your hometown? Do you even have a plan? One second you could be chilling on the couch, watching your favorite Saturday morning shows and then the next second one of Finster’s monster creations could be trashing your city at the order of Lord Zedd. Goldar could knock on your front door at any moment, so you want to make sure you’re prepared for a fight! That means you had better start practicing your martial arts moves now and you had better get suited up with your own Power Ranger suit. You can always practice your martial arts moves at the local gym, or in your backyard, but where do you get a Power Ranger suit? It’s not like Zordon is just handing them out at the mall or something. Oh, wait! 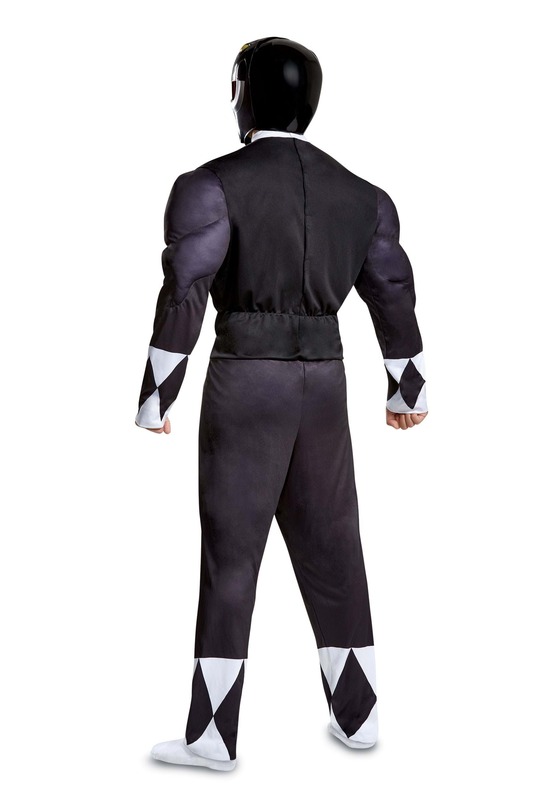 Costumes are totally our thing, so we have this Black Power Rangers costume licensed from the Mighty Morphin Power Rangers right here. 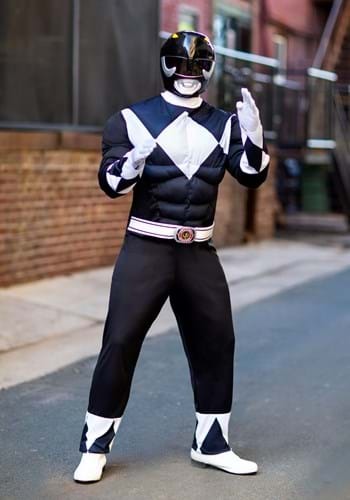 This Black Power Ranger costume recreates Zack Taylor’s suit from the first season of the iconic Saban show. The costume comes with a black and white jumpsuit. Muscle padding in the chest and arms help you get a buff physique, perfect for duking it out with any Putty Patrollers you might come across. Of course, the belt has the mastodon symbol on it and the included mask should help you put the finishing touch on your transformation into the Black Power Ranger.